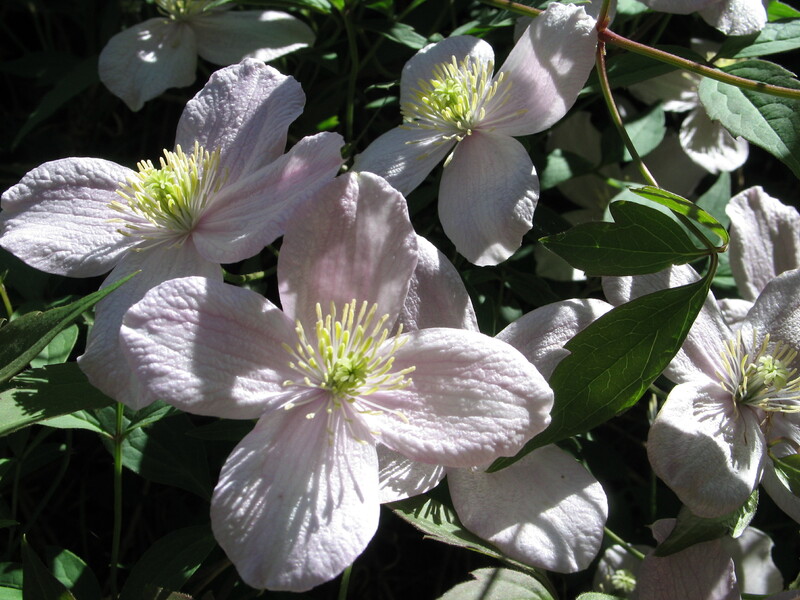 Clematis montanas are fast growing climbers that will quickly cover an unsightly wall or fence in the garden. One of my favourite varieties is rubens and I was lucky enough to inherit one when we moved to our house in Hitchin 12 years ago. It is now a magnificent specimen with a thick, gnarled stem and is a mass of pale pink flowers in late spring. Unlike many clematis it is simple and unfussy to look after (which is always a bonus in my books). It will also tolerate any aspect including north facing. As far as pruning goes, it flowers on the previous year’s wood so only becomes necessay once it becomes overgrown. For the smaller garden I’d recommend the less-vigorous Clematis montana var. rubens ‘Freda’ which grows to around 6 x 3 metres which is half that of mine!